If you’re into the U.S. Civil War of the 1860s, this is your year in heaven. 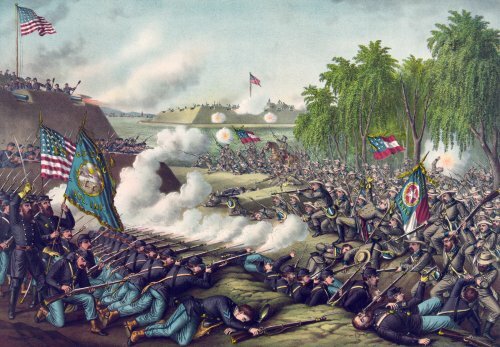 It’s the 150th anniversary of the beginning of that brother-against-brother conflict in which more than 600,000 Americans died, many quite miserably in hand-to-hand battle. For the sesquicentennial year, a number of Civil War scholars are trotting out new books that examine every imaginable angle of that war. Since more books have been written, worldwide, about our “War Between the States” than about any other subject save for religion, it’s hard to imagine what some of those new angles might be. Maybe one will be an angle about The Angle! That was a spot on the decisive Gettysburg battlefield where a low stone fence forced Union troops to form a 90-degree angle as they repulsed “Pickett’s Charge” — the Confederates’ pell-mell rush, mostly into certain death. I’m no Civil War scholar, but like millions of Americans, I’m aware of its profound effect upon our nation, and some of its object lessons. Tom Wheeler DOES have a scholarly look! 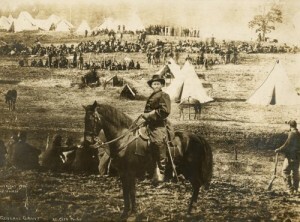 Some of them are the subject matter of a book by an unlikely Civil War historian. Unlikely, because he’s not the pipe-smoking, tweed-jacket-wearing professor, ruminating in an ivory tower. 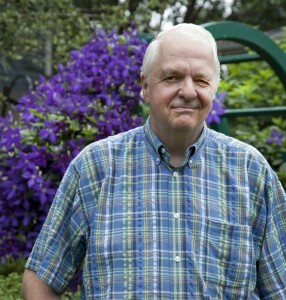 He is and has long been an entrepreneur and businessman who happens to love history — the “War of Northern Aggression,” as some Southerners still refer to the conflict — in particular. 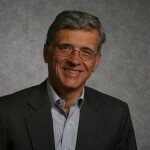 These days, Tom Wheeler is managing director of Core Capital Partners, a Washington, D.C., venture-capital firm that invests in new technology and communications undertakings. More pertinent to our topic, he’s also the former chairman of the foundation that looks after, and helps to fund, our nation’s National Archives, where you’ll find all sorts of Civil War treasures. 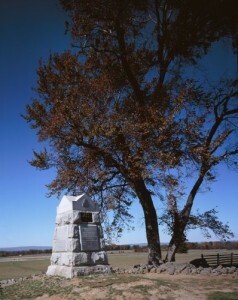 Scholars and ordinary readers the world over replay strategy and debate what might have happened had the southern Confederacy won the Battle of Gettysburg — or even the war. In his book, Take Command: Leadership Lessons of the Civil War, Wheeler zeroes in particularly on the weak and strong decisions of its generals. When he was a boy in Columbus, Ohio, his grandfather, a retired U.S. army colonel, walked him across the fields and hillsides of many of the great battlefields of that savage war. So he was already an enthusiastic student of war as he left college and moved into the business world. Almost subconsciously, he found himself diagramming battle strategies in the board room and referring to the management styles of the war’s commanders. Almost before he knew it, he was writing and writing and writing about the war. 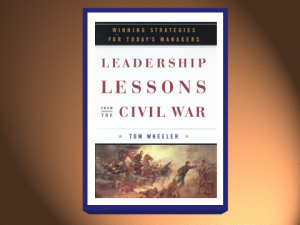 Tom Wheeler says that like most business leaders 150 years later, Civil War generals had to deal with sudden change. Society moved quickly from an agrarian to an industrial model, and weapons took on great killing power. Leadership qualities like a willingness to take risks were crucial to success. And so war gives us, today, the opportunity to study the decision-making of individuals in the most pressurized of environments. And some of what we learn, Wheeler believes, can be internalized. George McClellan, who was the original commander of the North’s forces in the Civil War, is a good case study of what not to do. McClellan was a fanatic for preparation — a point in his favor, you might think. 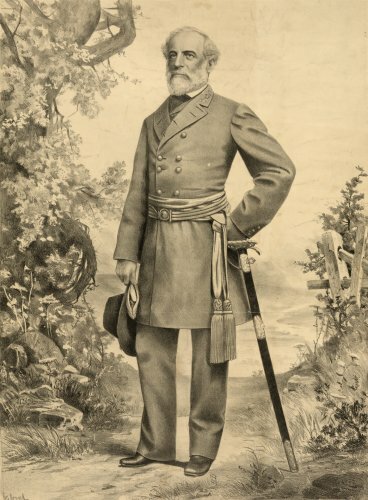 He drilled and drilled and drilled the troops and had a massive force that, in hindsight, should have overwhelmed the Confederate enemy. But as Tom Wheeler points out, “He was incredibly tentative and timid. In 1862, McClellan devised a brilliant plan to execute an end run around the Confederate forces that held several strong positions between Washington, D.C. and Richmond, Virginia — not too far away. The goal was a surprise, killing blow against the Confederate capital from an unexpected direction. In many facets of the computer business after that struggle, Apple is back atop the heap. By contrast to the tentative McClellan, Ulysses S. Grant was eventually the tenacious and successful commander — and later president. He made a lot of mistakes, even blunders. But he shrugged them off and kept going. He had tenacity. Grant had been the archetypical failure in his personal life and on the job. He drank his way out of the army after graduating from the U.S. Military Academy. He was a bust as a banker. He was a miserable farmer. He failed in real estate. He tried to get elected county clerk in rural Illinois — and lost. At the beginning of the war, he was reduced to being a clerk in his father’s tannery. “All of his activities in the war — the victories — all began as failures,” Wheeler says. Probably the classic example was at Vicksburg [Mississippi] in late 1862 and into mid-1863. It was the most important point militarily in North America, because Vicksburg controlled the Mississippi River and held together the two halves of the Confederacy — east and west of that great river. And a modern example of that kind of tenacity? Yet leaders like Grant and southern general Thomas “Stonewall” Jackson — a truly strange man who’d bring his own food to gatherings and then stand against the wall — were short on the kinds of “people skills” that we demand of leaders today. 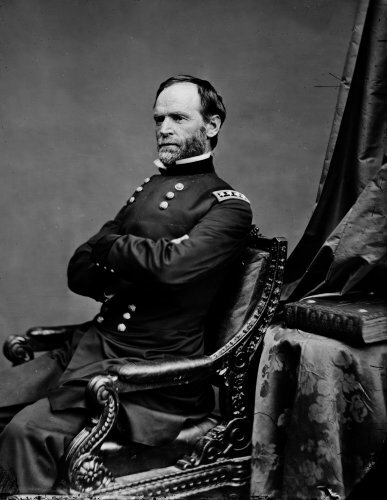 Many Civil War generals were some of the most irascible, unfriendly, unlikable, least sensitive people around. 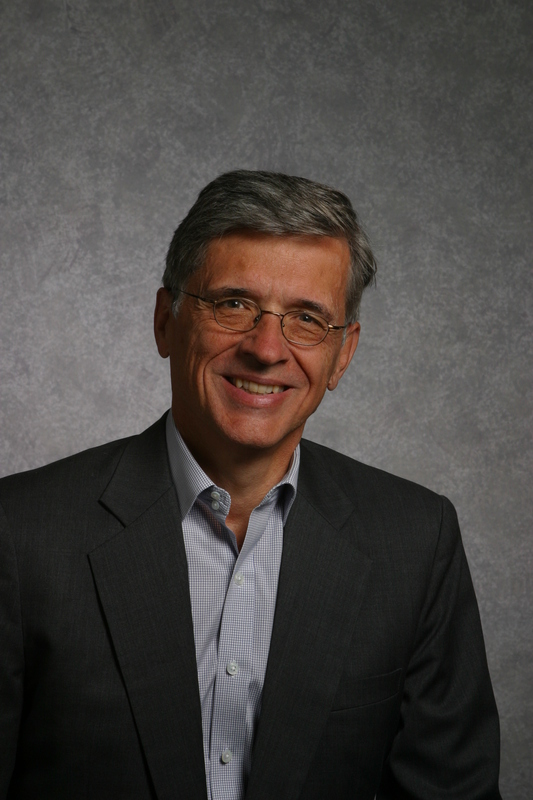 Different situations demand different kinds of leadership, Tom Wheeler responds. “The ability to communicate, the ability to understand, to empathize, leadership by example are all important. You don’t have to be an s.o.b. to be successful. 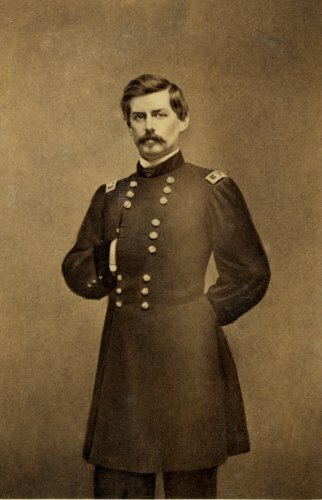 “But sometimes you just have to make a decision about what’s right” and not hem and haw like “Little Napoleon” — George McClellan. In the years since the book was published, Wheeler published another Civil War account — this one narrower in focus. It’s a study of the telegrams sent by U.S. President Abraham Lincoln during the war. And he’s gathering material for what sounds like a fascinating account. 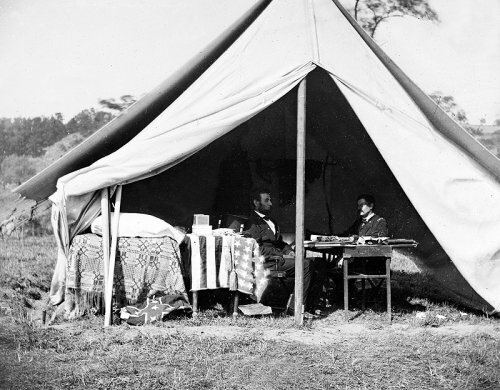 It will be about a Union corporal who had lost both legs in battle but happened to be around Ford’s Theatre when Lincoln was shot and mortally wounded by southern sympathizer John Wilkes Booth. 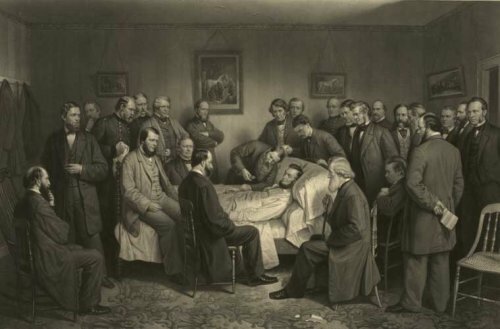 As officers and civilians rushed the dying president across the street to a boarding house for treatment, they shouted frantically that a stenographer was needed to record Lincoln’s final tragic but historic deathbed moments. That, the corporal did, even though he is not pictured in paintings of the scene. Irascible. Ill-tempered. Grouchy, even hotheaded. Object lesson. An action or event that serves as a model of what others should — or just as often should not — do. Pell-mell. Headlong, great disorder. The term comes from the French but was applied to a medieval English game involving mallets and balls and lots of confusion. Ruminate. To think long and hard about something. To ponder.